Published on June 9, 2011 in Private Investigators. 0 Comments Tags: background check, investigate, people search, romantic deception. Much of what I needed to know about my ex I was able to dig up on my own through online databases, but there was one nagging piece that I needed an answer to. My ex told me he had never been married. The evidence supported that. I met many of his friends and his entire family. No one indicated that he’d been married before. We had planned to live together and he had brought several of his possessions to my home. But when he moved these items out the day the relationship ended, he left behind several pieces that raised suspicion. These items were household goods, new, and still in the original boxes. He told me that he’d received one or more of the items as awards from golf tournaments. But these were household goods, not typical golf incentives: a cappuccino machine, hand mixer, juicer, dishes, glassware, about ten items in total. They looked a lot like wedding or shower gifts. I wondered if he had lied about his marital history. I had caught him in many lies about his financial situation so I wondered if this was just one more area he’d been untruthful about. So I asked a local PI to conduct a background check just to be sure. Weeks passed and my curiosity grew. One day I received an email from the PI asking me to call him regarding the investigation. Our conversation was shrouded in mystery. He told me he could not tell me everything he had found out, or how he had found the information, but he declared – in no uncertain terms – that my ex was currently married! I can’t tell you what a shock that was to hear. We had ended the relationship just two months prior so I knew that the marriage was not a recent one. My mind raced with how he could possibly have hid a current marriage. I asked the PI for details but he refused to tell me more. My mind reeled and my heart sank at the thought of this level of deception. I thought perhaps there had been a previous, brief marriage, but never did I imagine a current marriage. It took me about 24 hours to gain my composure and to put into action my own search for the truth. I emailed an associate of the PI who was involved in the initial search. I was able to pry a “possible” first name and age of the “wife” from the associate who relayed what he could remember. My next stop was the Registry of Vital Records where I met a sweet and helpful employee who performed a search of the marriage records for me. No marriage record turned up for the ex. I spent innumerable hours online searching the name I was given. Nothing turned up that linked the guy to a potential wife. It took some time, and much angst, but I finally began to realize that the person the PI so adamantly claimed was his wife, was in fact his sister. This fact was later confirmed through another PI who, upon hearing my story, offered to conduct a database search for me. The moral of this post is: Take every nugget you receive with a grain of salt. Not all information you, or a private investigator, pulls from a database is reliable. The PI who performed the initial search could have saved me much pain simply by qualifying his investigative results. Apparently he found a woman’s name linked to the address the ex currently resided at (his parents’ home). The woman’s age was around his age. The PI made a huge leap by assuming that it was a wife and not another relative. Databases are subject to human error upon inputting data. Reports available on the Web from sources like peoplefinders.com and intellius.com, among others, offer very basic information and cost money to view. Much of the information they provide is available for free if you know where to look for it. The information on these reports is also not always current and in many cases inaccurate or unavailable. It cannot be relied upon. Beware that what they offer may not be available in your state. For example, usa-people-search.com offers a “Comprehensive Background Check” for $39.95 that includes marriage and divorce records. What you don’t see is that in Massachusetts, marriage records are not available online, so you will not receive any marital information on someone you check in the state of Massachusetts (and numerous other states). I also have been told that intellius.com offers to provide a telephone number for $2.95. What they don’t tell you is that the number may not be for the individual you are seeking. It could be any individual by the same name in that state. They also have a no refund policy. Buyer beware. Bottom line: Hire a reputable private investigator (see links to recommended investigators in my blogroll). Investigate the investigator. Make sure he or she has credentials and is licensed if licensing is required in your state. Check references as well. Ask to see certified copies of marriage licenses before believing that the individual you are checking is truly married. Take information obtained from databases with a bit of skepticism. This blog provides tips and tools useful for collecting information about someone using the Internet and other free and publicly available sources. To learn more, check out the Survival Guide in our book Romantic Deception: The Six Signs He's Lying. To leave your comments, or to forward, tweet or repost an entry, click the entry title. 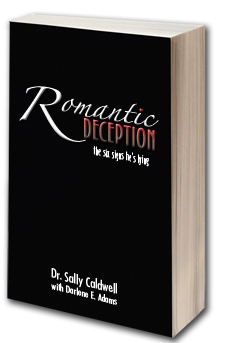 Excellent site and forum about deception inside intimate relationships. Need a private investigator in Boston? Bob Long Investigations Group LLC. Highly recommended! Prefer to work with a female private investigator?